With a wealth of content and a dynamic design that facilitates STEM research and learning, the award-winning Science Online offers a comprehensive overview of a broad range of scientific disciplines. Topic Centers feature specially selected content on core science disciplines to help researchers find a starting point for their research. Users can also access the full, updated content of our unique science eLearning Modules, which target a variety of core topics and feature valuable Educator Support materials for seamless in-class integration. eLearning Modules: Science Online features 10 science eLearning Modules—Biomes of the Earth, Cells, Energy and the Environment, Essential Chemistry, Genetics and Evolution, Global Warming, Green Technology, The Human Body: How It Works, Physics in Action, and The Plant World. Each eLearning Module provides an in-depth exploration of a core science subject with extensive sequential articles in a narrative format, key videos and animations, diagrams and images, and glossaries. Each eLearning Module also includes educator support materials including learning objectives, discussion questions, assessment questions with answer keys, and student-based projects. Videos and Animations: Videos and animations reinforce visual learning, stimulate interest, and provide convenient overviews and discussion starters. 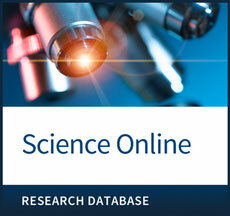 Science Online includes more than 4,000 video clips, many specifically produced for Science Online and not available anywhere else. All videos include full-text transcripts that are searchable and display right below the video player. They also include a record URL, closed captions, and run times.